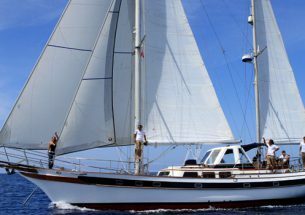 Designed by the marine engineer Geoff Parsons, Voyager was launched in the earlies 90’s in Plymouth. In 2012-14 has been going through a 100% refit process for over 2 years. 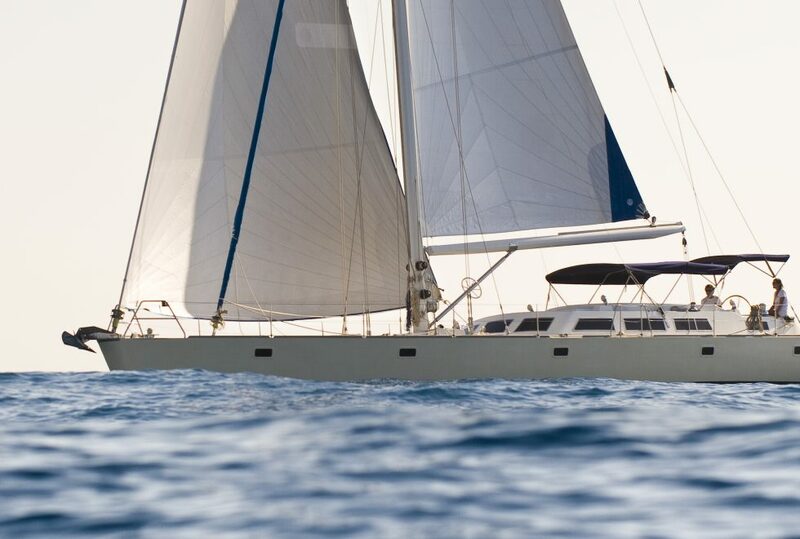 Voyager is based on a modern but well proven hull design with a twin cockpit deck layout that enables the crew to run and handle the vessel without imposing on your freedom or privacy. The deck, coachroof and both cockpits are teak covered, providing and attractive and save footing. 4 Double cabins + 2 complete Toilets are located in the guest area. Captain Albert Cantons has Skipper for over 15 years. 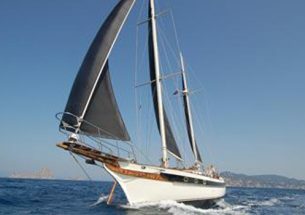 Alberto has been involved in the entire refit of the yacht for over 2 years. His passion for engines started when as a teenager he was a motorcycle racing pilot and was in charge of the care of his motos. His extensive knowledge will ensure that guests enjoy a memorable holiday. Speaks fluent Spanish, French as well as English. Marta has been in the hotel industry for over 20 years, she has specialised in 5 star service and will be very pleased to assist you during your trip. Fluent in German, French, English, Spanish. Very interested in the Mediterranean cuisine, she will offer you delicious creative and traditional cuisine. 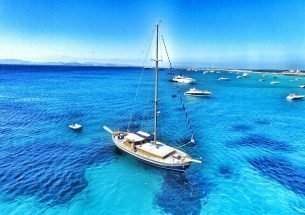 The price includes Comfort Pack (sheets, towel) dinghy, skipper and cook, full insurance of the boat and personal accident insurance.